In tribute to science fiction writer John Christopher, who just passed away, I'm reposting my review of The White Mountains, the first book in his Tripods series. Will Parker is 13 years old, and in another year he will undergo the capping ceremony, which marks the passage to adulthood. 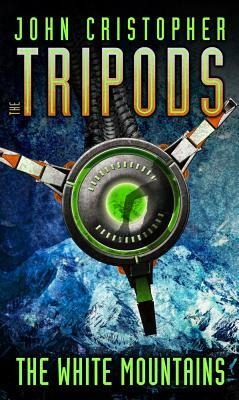 During the capping ceremony, the Tripods, giant metal beings with three legs, permanently fuse a metal cap to the person's skull. Will accepts the capping as a normal part of life, as everyone else does, until Jack, his best friend and cousin is capped. Seeing the changes in Jack makes Will nervous about what lies in store. Soon afterwards, he meets a vagrant who tells him that the Tripods are beings who have taken over the Earth and that the caps are the means they use to keep humans under control. He tells will about a colony of free humans living in the White Mountains, far to the south, and gives Will directions for how to get there. Accompanied by first one, and then another boy, Will sets off on a journey to find the free men in the White Mountains. The journey is fraught with peril and filled with adventures. I first read this book when I was young, and reading it again as an adult I found it just as exciting as I remembered it. Will and his friends must be constantly alert to avoid Tripods and other dangers. Since the book is told from Will's point of view and we can "see" his throughts, he is the most thoroughly developed character. During the journey, he grows as he interacts with the other boys and also as he examines and questions his own beliefs, desires, and motivations. While the book doesn't have a strong female character, that didn't bother me when I was a kid. I just enjoyed the adventure, and still do. The only complaint I have about the book is that it ends too abruptly, and the ending is anticlimactic, almost like the author just said, "that's enough, I'll cut it off here." Oh, how sad. If it makes you feel any better, I have several 6th graders who are working their way through his works and quite enjoying them. Thanks for posting about this. How wonderful to know that his books can still be enjoyed by young people today. My son also enjoyed them at somewhere around that age. I'm glad to know your boys are reading them, Ms. Yingling. I was going to ask if they knew about them since they were published so ong ago. Thanks for posting this tribute, Sheila. I read them for the first time about three or four years ago and found them to be powerful and exciting.